Opus Daily Practice day 9. The theme was “muted”. As much as I thought about creating a muted piece to fit the theme I am currently working on, the more the weather outside called to the theme. So after a quick snowshoe, I set about to do a quick , muted, en plein air watercolour. Soft, muted, and a limited palette. Photographed still wet, as it was going to take a bit to dry in sub zero temperatures. I also managed a bit of dyeing. Pomegranate for one skein and lac for another. I’m being very economical with my wool at the moment as I need to place another order….crazy when you think I order 25 lbs at a time! Opus Daily Practice day 6. The prompt to create work was “repetition”. This is my comfort zone. Repetitive patterns and repetitive shapes in the drawing (still in progress). 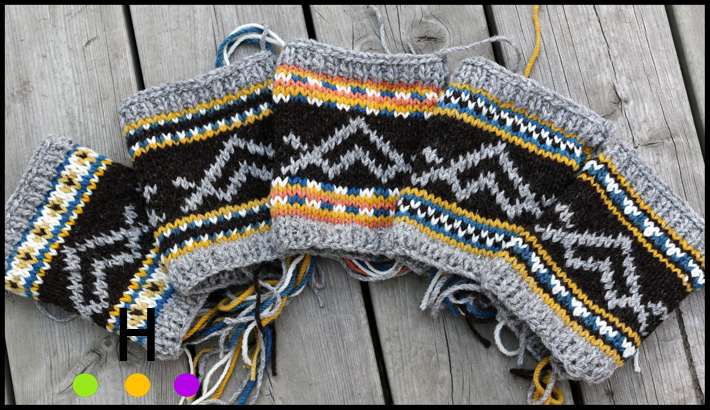 Repetitive movement in the re-spinning of scrap yarn (eternally in progress!). 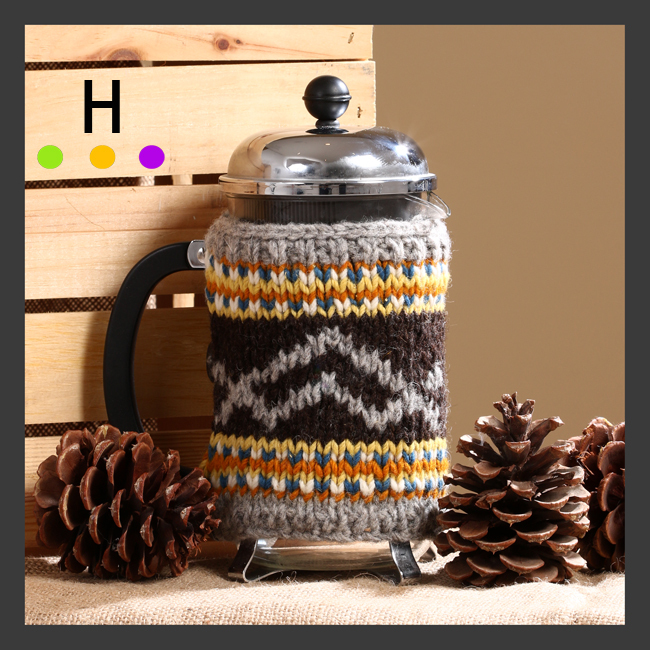 Another Coffee Press Sweater order is currently being worked on for Woods on Pender. I am currently at the half way mark. This grouping features indigo, madder, chamomile, pomegranate and turmeric as the natural dyes used for dyeing the wool. Each item features the Woods on Pender logo. 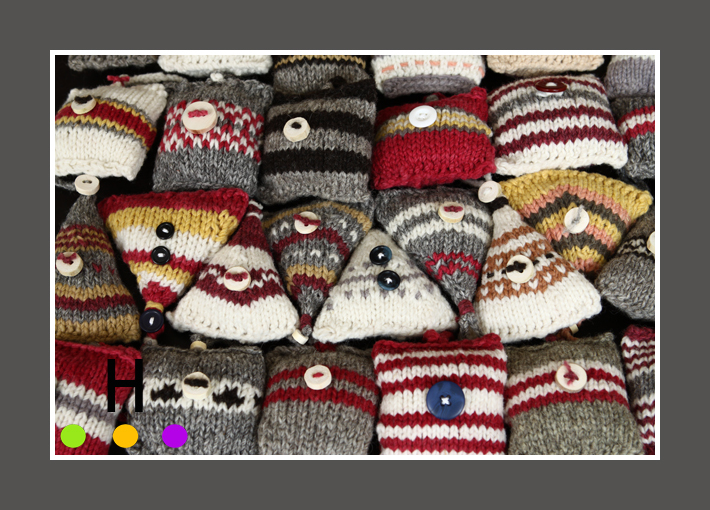 I have many hours of knitting ahead of me this week completing this order. If the weather holds I will also be getting the indigo vat going so that I can start dyeing another stock of indigo dyed wool. The blue color is becoming a favorite in a lot of my pieces. 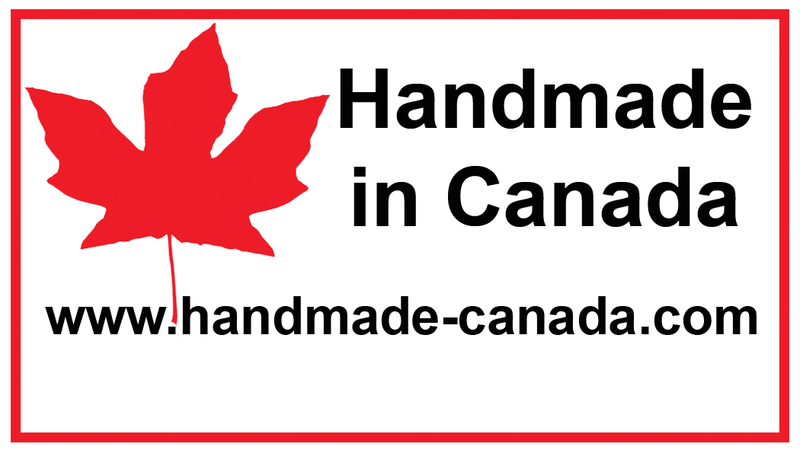 We are also featured on www.handmade-canada.com . “Remnants” is finally finished. This fibre art piece, started in late October or early November has been a journey. Originally it was to be a small lino cut skull printed on naturally dyed fabric and then embellished by beads. 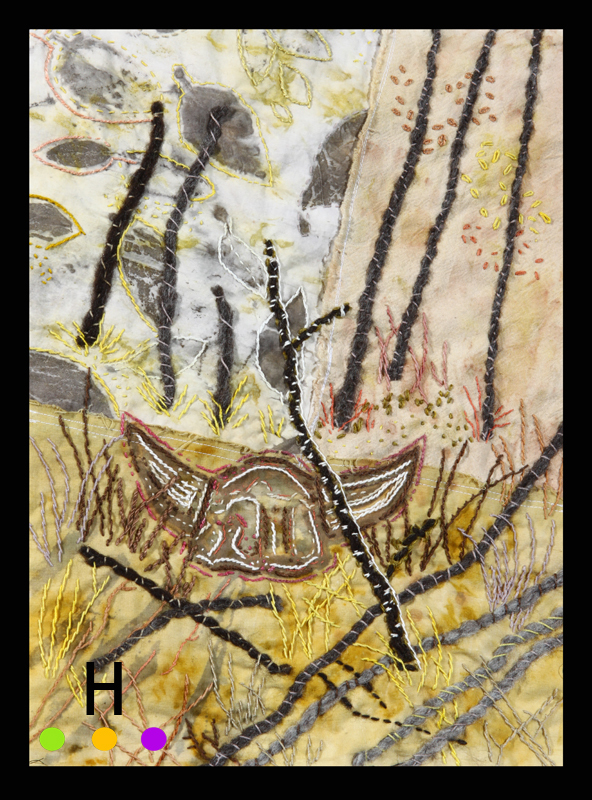 As I worked on the piece the idea grew to a larger piece that incorporated eco printed fabric ( the leaf imprints), took on a landscape concept, and relied on hand stitching to create the image. The idea of beading was completely abandoned; too fancy for this piece. This piece has a roughness about it. Raw edges. Rough fabric. Lopi tacked down. Fabrics dyed with marigold and tansy; dyes from the earth. It is a rugged piece, rugged like the prairies. Inspired by farms down dirt roads with skulls tacked on fences and adorning sheds, the bits left behind, and remnants of the past. 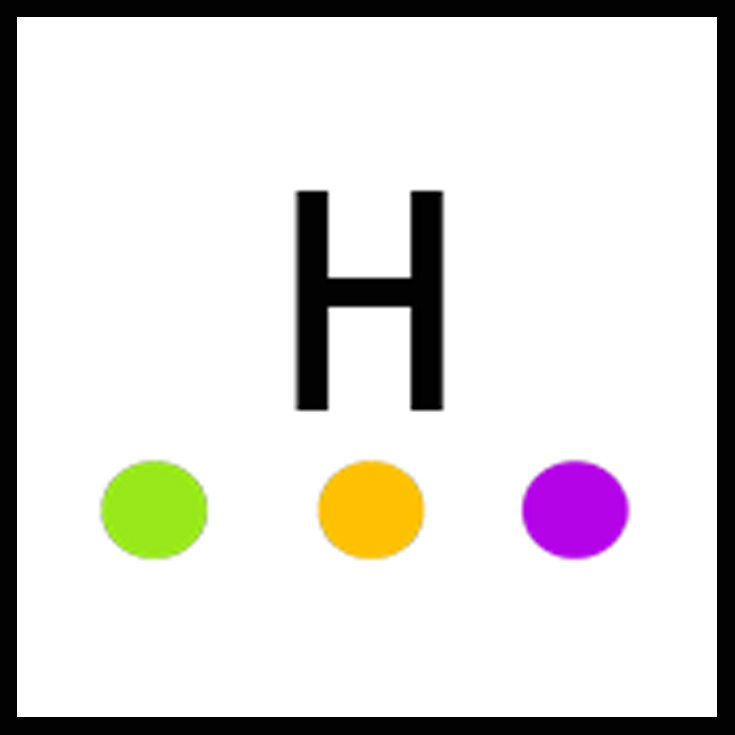 Any ads displayed belong to “WordPress” and not “www.debra-hunter.com”. Last night I finished “The Star Money”, a piece based on the Grimm’s Fairy Tale of the same name. 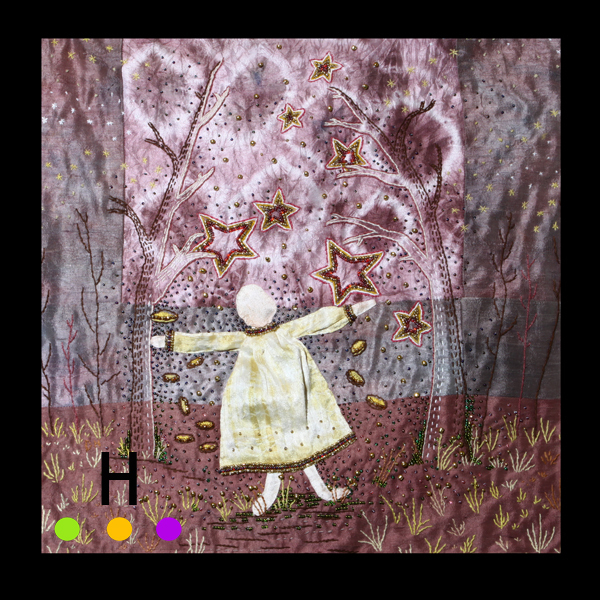 The base of hand-dyed silk is embroidered with cotton and silk threads (again hand-dyed) and glass seed beads. In viewing the piece in person in shimmers as the light hits the piece due to the glass beads and the texture of the silk. I think it is interesting to interpret a folk tale using folk techniques. Originally these tales would have been shared in homes in a day where cloth was stitched by hand, just as this piece was. 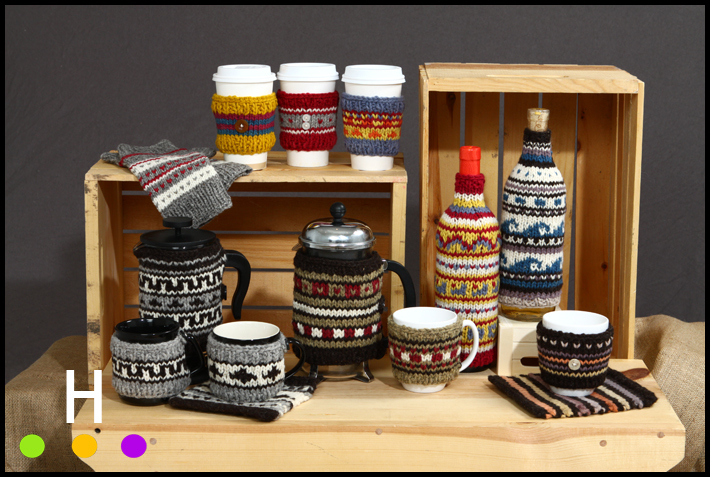 It is a whimsical piece with the homespun feel of the folk tale. I suspect this could be a theme I may continue with, after all I have 210 Grimm’s Fairy Tales to choose from. 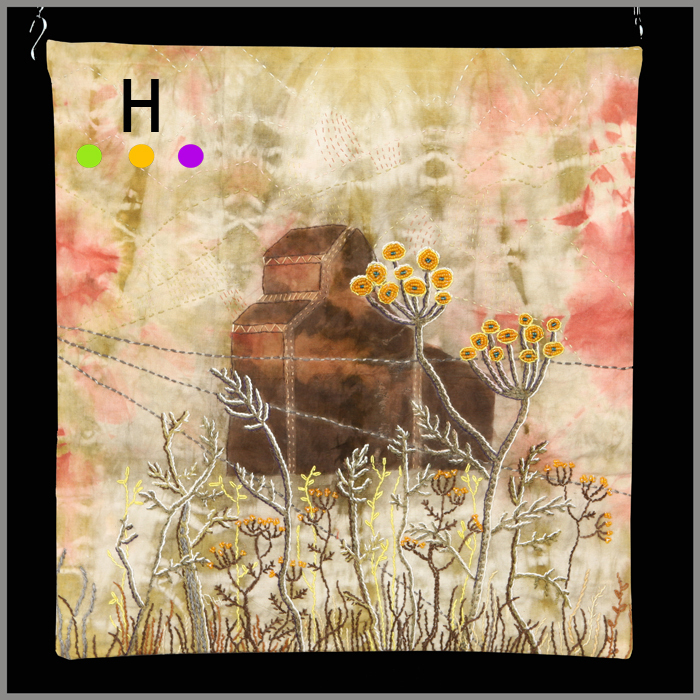 “Grain Elevator and Tansy” is my most recent fibre art piece to complete. Grain elevators are a classic Alberta scene, however many are disappearing as they age and cities and towns expand. It was nice to acknowledge these giants of the prairies using age old stitching, dyeing and beading methods. This piece consists of hand dyed cotton, dyed in natural hand crafted dyes of marigold, cutch and madder. The piece is then detailed with hand stitching and hand beading. The stitching threads of cotton, wool and silk are also colored with natural dyes. If you look closely there are some pale yellow threads in the stitching dyed from tansy collected from ditches in Alberta and then turned into dye. Truly a home grown piece.